In-demand locations will be subject to rent caps under plans to be announced today, the Irish Independent can reveal. 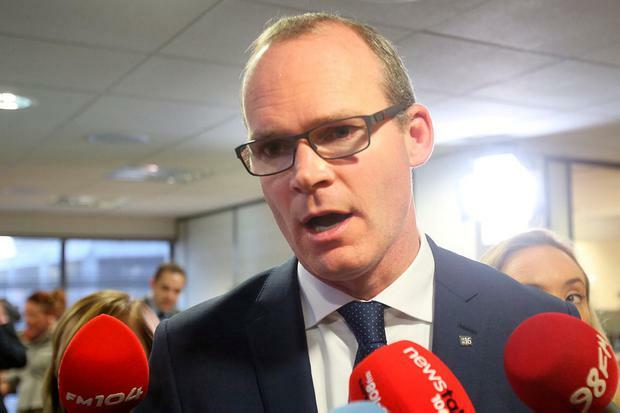 Housing Minister Simon Coveney is to introduce 'rent pressure zones' in an attempt to stall the spiralling costs in Dublin and Cork. Latest figures show prices in the capital have jumped by as much as 40pc since the downturn, while the average cost of renting a property nationwide is now €1,000 a month. The minister has been under pressure to introduce 'rent certainty', whereby increases would be linked to the rate of inflation. However, sources said he believed that approach would "grind supply to a halt". Instead, Mr Coveney had designed a plan for rent predictability which would primarily target the big cities. It is understood the Residential Tenancies Board (RTB) will be tasked with monitoring prices in key areas over an 18-month period. If there are above-average increases for four out of the six quarters, then the RTB can recommend to the minister that he declare an area a 'rent pressure zone'. This status would apply for a three-year period, during which landlords would be restricted in terms of price increases. "Reasonable limits will be applied in order to stop runaway prices," a source said. Zones are likely to be designated along local electoral areas but the rules won't apply to newly built properties. The move is part of a wider rental strategy expected to be signed off by the Cabinet today. It would be broken into four areas: security, supply, standards and services. Mr Coveney was expected to stress that he viewed the supply aspect of his long-awaited plan as the "most important element". The Irish Independent understands he has focused heavily on bringing unused properties back into the market. Central Statistic Office (CSO) figures suggest there are 200,000 vacant homes nationwide, including 40,000 in Dublin alone. Extra funding is to be targeted towards the Government's 'repair and lease' scheme which gives upfront payments of up to €30,000 to landlords who bring properties up to a standard allowing them to be rented to social housing tenants. The Department of Health has also been tasked with carrying out a review of the Fair Deal scheme in order to establish if properties are being left empty when the owner moves into a care facility. Another element of the plan is to rewrite the standards applied to rented properties. The RTB will have until July 1 to come up with a new charter that will cover safety issues such as heating, carbon monoxide testing and windows. Once this is completed, the RTB will be expected to greatly increase the number of inspections carried out annually.